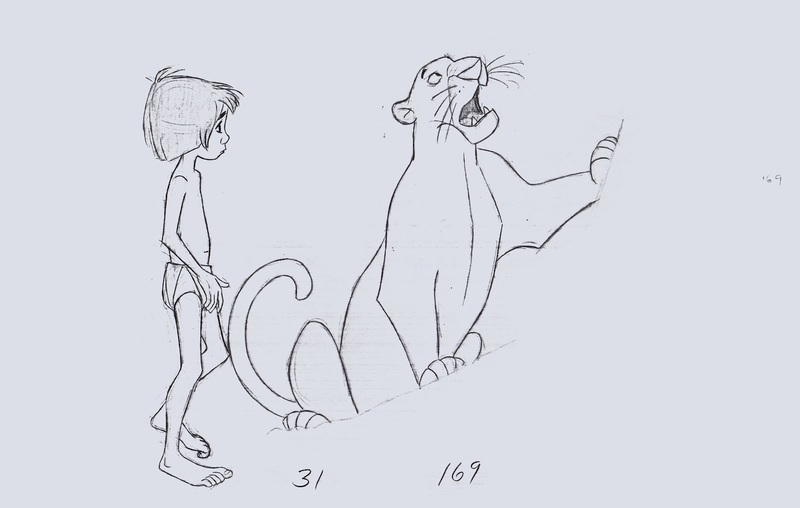 These are three stages in the making of a little scene from Jungle Book. 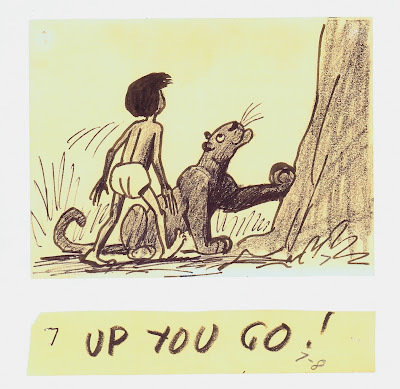 The story sketch is by Bill Peet, Bagheera is asking Mowgli to get up this tree to spend the night. Milt Kahl animated both characters, and you can see how Peet's pose of the panther was an inspiration to Milt. 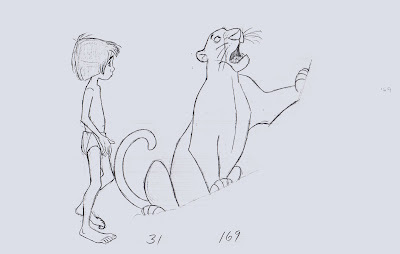 The final animation shows Mowgli entering the scene in profile instead of from the foreground. Also, Mowgli's attention is still with Bagheera. It takes a few more scenes before he lifts his head, in a close up, to examine the enormous tree in disbelief. Next time you watch the film, look at the animation frame by frame. 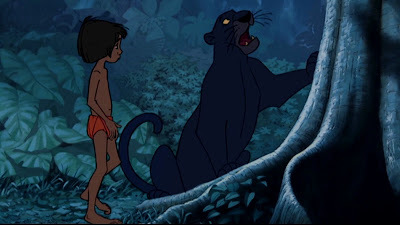 Mowgli's walk as well as Bagheera's leap into the scene are beautiful, full of weight. I don't know who painted the background, but I think that the whole night time sequence looks stunning.